The Indian Wolf is adapted to scrublands, grasslands, and semi-arid pastoral environments. It is found mainly in the Indian states of Gujarat, Rajasthan, Haryana, Uttar Pradesh, Madhya Pradesh, Maharashtra, Karnataka and Andhra Pradesh. Its territories range from 100 to 150 square miles. Much of the Indian Wolf's habitat overlaps that of the Himalayan Wolf, and because of this, it is a wonder why the two do not interbreed. For a long time, it was believed that the Indian Wolf was a gray wolf subspecies and was recognized as the Canis lupus pallipes, the same as the Iranian Wolf. However, recent genetic research suggests that the Indian Wolf has not cross-bred with any other subspecies in over 400,000 years which would make it a separate species of it's own, the Canis indica. 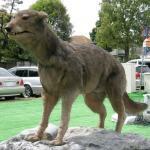 The Canis lupus pallipes would then refer to the wolves from the Arabian peninsula, Afghanistan, and Pakistan, but not India. An Indian Wolf can be one of the smallest subspecies of wolves, though their sizes vary in height from 24 to 38 inches and in weight from 40 to 60 pounds, and have a short, dense coat that is usually of a reddish, tawny color. 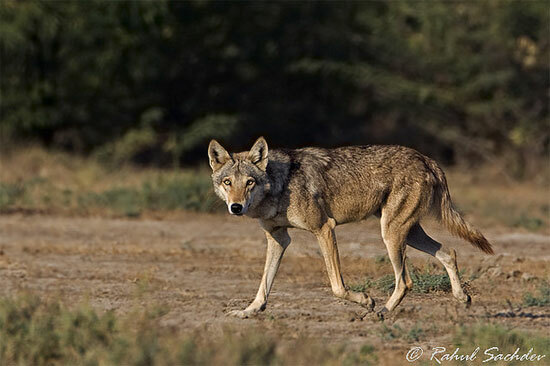 The Indian Wolf (Canis indica) is relatively smaller in size and genetically distinct from the Iranian Wolf (Canis lupus pallipes). Because of its smaller size, the Indian Wolf can sometimes survive on smaller ungulates, rabbits, hares, and rodents it finds. 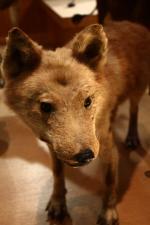 However, much of the wildlife that the Indian Wolf used to prey on has been hunted to extinction by humans. The Indian Wolf is, therefore, often forced to prey on livestock. 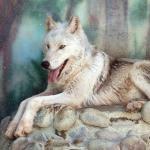 This draws them closer to people, including unattended children which the wolves see as fair game. The Indian Wolf's breeding season is usually around October after the rains. Only the alpha male and female of the pack reproduce. Usually, a liter of 3 to 5 pups is born in December or January in an underground den. The mother and father look after the pups until they are 6 months of age. Although it is supposedly protected as an endangered species in India under schedule 1 of the Indian Wildlife Act of 1972, the Indian Wolf is still hunted because of its attacks on children and livestock. The greatest threat to the Indian Wolf's survival is persecution by poison, and habitat loss due to intensive agriculture, development, and industry. 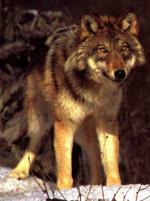 A study released in 2004 estimated between 2000 and 3000 Indian Wolves remaining in the wild.